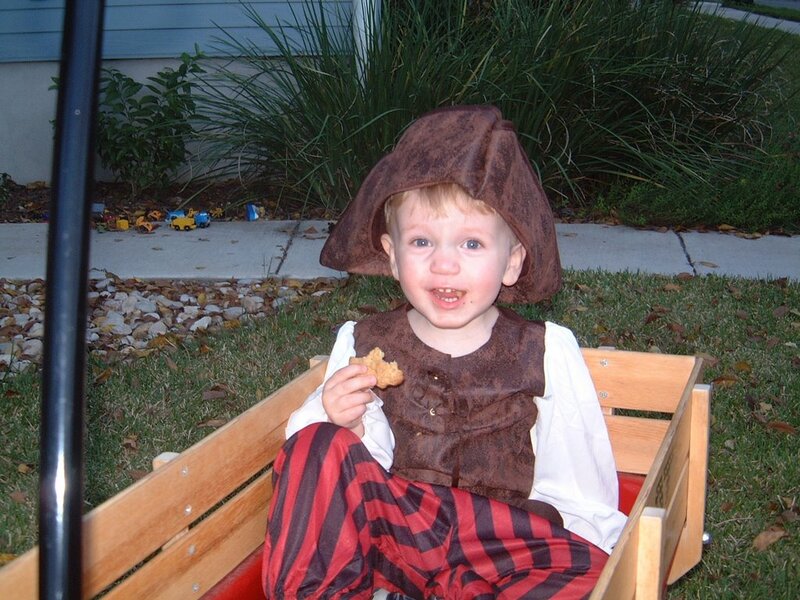 So, Aidan decided to dress up like a pirate this year. 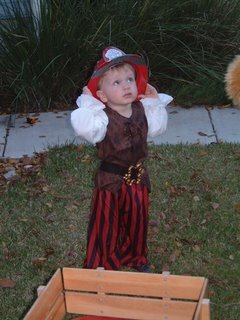 After some play as a pirate, though, he clearly decided that what he really wanted to be was a pirate who fights fires. When we went around the street to go trick or treating, one of our neighbors dressed up as one of my Star Wars Favorites! 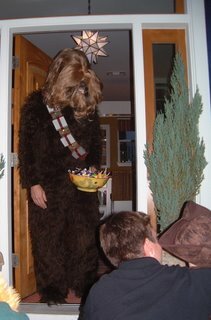 Unfortunately, this scared the little ones a bit, and it took a lot of prompting to get them to knock on any more doors!